Anand…. another brilliantly written one!! 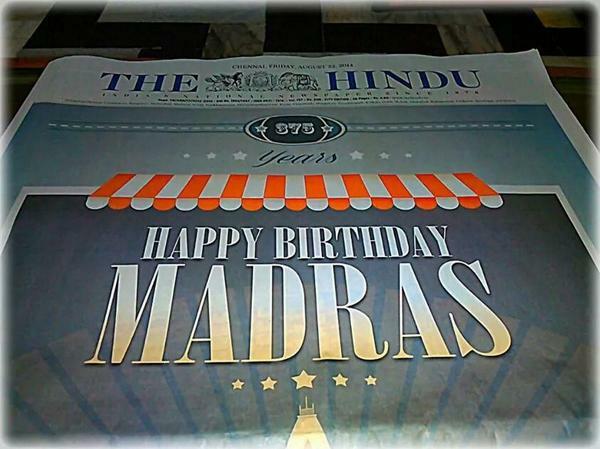 And wishing Chennai a VHBD… Also means a lot to me remotely maybe… As I have studied in Chennai till the 5th Std. And my sister was also born there…. Hi Nicely written Anand.. As you know I was born and brought up in Chromepet , a suburb in chennai. I studied in Chetpet but really missed the real “Madras” that is Mylapore. It is good that you have childhood memories of It. My Periappa used to live in Alwarpet and then on Edwards Elliots Road( now Radhakrishnan Salai). I remember the visit to the beaches especially on a full moon day with my cousins. Today, I have a small flat in Mylapore, the hub of carnatic music and musicians. Almost every street of Mylapore has a musician or two. It is nice to be able to walk to the Academy and other sabhas not to forget the beautiful kapaleeswarar temple and the Saibaba temple. I also discovered a peaceful Ramana Maharishi centre not far from the Sai Baba temple. Madras has its charm and almost everything is available in Chennai these days… Nice to be Madrasi…. Hi Anand, really great that you’ve thought & penned about one of the greatest culture in the world ” idhu thaan chennai “. Proud to say that Iam a total chennaite, born & brought up & living here for the past 47 yrs. with lots of memories & unforgettable events in my life journey(resided at triplicane, near mount road, Mylapore & from 1972 at Annanagar till date) . Go anywhere I want to be back in chennai …. ” Sorgamey enraalum namma urru polah varumah”. Wishing Chennai & chennaites a memorable 375th birth year & rest will be history!!! Hi Vetrivel, I can resonate with your feelings. Thanks for reading and for leaving your feedback. Ramakrishnan, Thanks for reading and sharing. It is a lovely city! There are endless things that you get to explore while in Chennai 🙂 You are indeed lucky to have grown up there! The Coromandel coast has a romance of its own and I look forward to visiting Chennai again later this year. Thanks for reading and for your feedback. Will look up your post. I am a Madras boy and still refer to the city as Madras to the horror of those whom I meet. Nice piece that captured the nostalgia of my childhood. Will mail you something I wrote, not so much about Madras but about my childhood. Well written Anand. Keep it going! Precise and good input. Waiting from you a similar input on Mumbai and other major cities where you have been travelling a lot. Hi Mama, Thanks for the feedback. Yes, I will. I wrote a few in the past which you may like to look up. Nicely written I came to madras more than a year back and now I see myself adoring this part of the world. Whether it is idlee and vada at murugan’s or a visit to ratna cafe on a busy big street, a visit to Elliotts or listening to some Carnatic music madras fascinates. Probably I felt more connected because just I am an outsider neither born nor brought up in madras but after this small association with this city I feel truely madrasified.thanks for writing. Thanks for your feedback. Glad you are liking Madras and my post ! 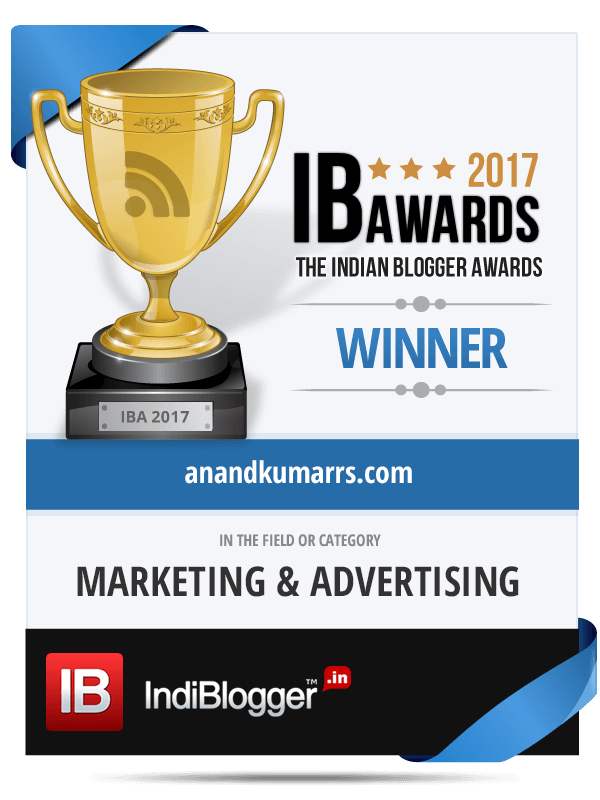 Again another realistic blog from you, Anand. How did you remember all of these? I think it is a concise summary of Madras. One more reason auto walla says for increase of charge is “Neraya oneway Sir, suthi poganum “!! Yes Suri, that’s one more addition to the Autowalla lingo which I missed!. Thank you for your reading and for your prompt feedback. Appreciate it Dr.
Hi I want to say that this write-up is amazing, I would like to peer more posts like this .